On Twitter, John Pavlus recently asked me which bit of the writing process I like most – researching and collating information, or actually getting it down on paper. 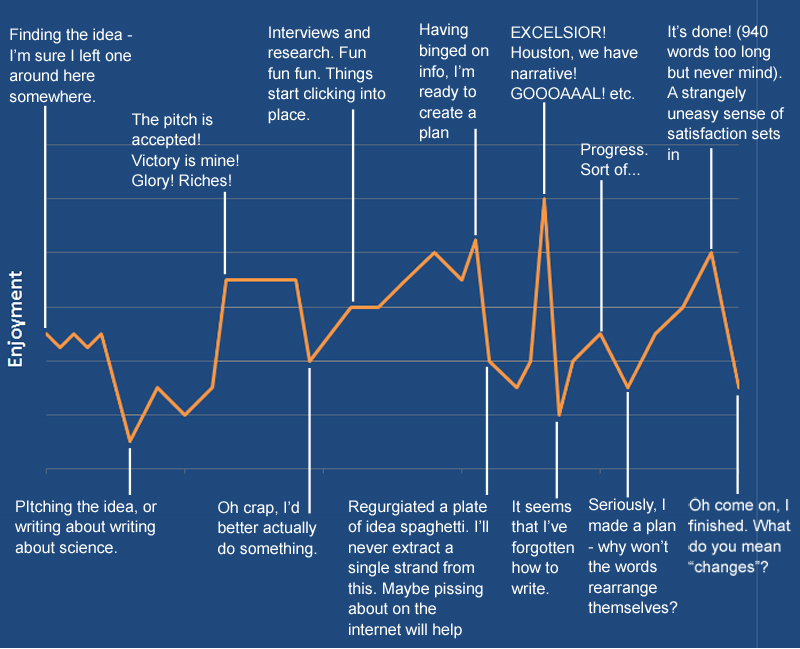 So to answer that question more fully (and because it’s been a bit of a slow week), here’s a graph depicting my process of writing a feature. Enjoyment’s on the vertical axis, time runs along the horizontal. This applies to longer features rather than blog posts – those are more straightforward and less emotionally variable. (And yes, I know “regurgitated” is spelled wrongly in the image. I can’t be bothered to change it). ← So You Want to Write a Novel…?